Please post here if you want to be invited to the Whatsapp Group. You can post your number - it will not be visible to the public at all. So we're in 2018, had a super successful launch and gained more players than other servers, we managed to put to shame. Best of all, we've been gaining player legitimately and other servers tried to steal our players and failed horribly, going back to their zero playerbase. We got rid of all the bad apples and disloyal players alike. Really chuffed with the server launch so far, we've got great loyal players who support the server greatly, I know who you guys are and appreciate your contributions to the server- your time, your effort with new players, your whatsapp presence to help okes get going, farming and organizing raids. We're really a great community. Unfortunately, I see our player base needs some activity again, I am guilty that I haven't been very active either - but I assure you I am actively making sure the server is running smoothly for you all none the less, even if I am not in game all that much, I'm still a whatsapp away! I'm always playing open books with you guys, I have to set a bar as I'm pretty sure our loyalest players will contribute as they want to see the server succeed, so since there are more casual players than super loyal ones, I want to give a reward and set the bar at $10 (2 days worth of ads). 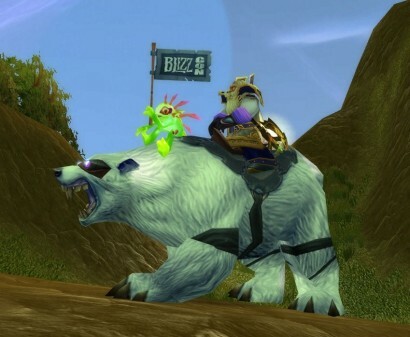 Blizzard mount! To show that you're supporting the server! This is a limited edition mount. After the updated i logged in and noticed all my gold was gone. Happened to one of my guildies alt's aswell. Know roughly the amount, can pm me. Since everyone needs some gear to start dungeons with, will I suggest to set reputation farming a bit higher. Kirin Tor sells some decent beginning (not everything but some) gear for gold but you needs to be exalted with them...just a suggestion. Cant attack Frenzyheart Spearbearer, Frenzyheart Scavanger or Warlord Tartek. You cant attack any Gorloc Warriors or Oracles in the designated area. The Frostbrood Destroyers regen health immediately so you cannot kill them. Would it be possible to get some Runed Titanium Rods in the AH please. After riding the Captive Crocolisk from Frenzyheart Hill to Mistwhisper Refuge, Zepic the Gorloc Hunter does not want to give any quests.